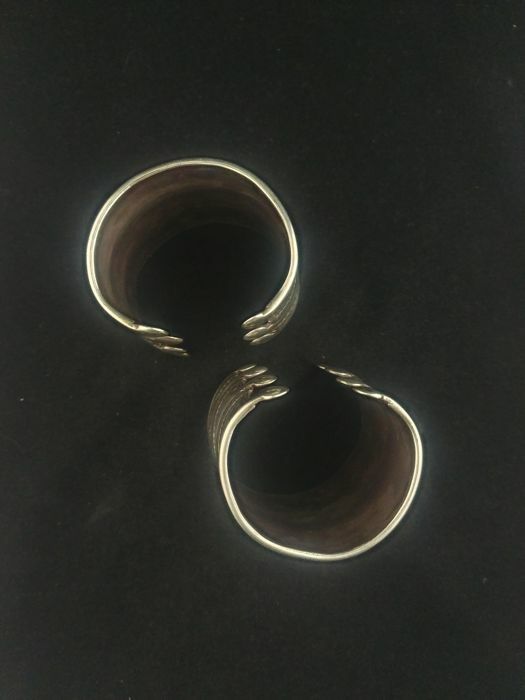 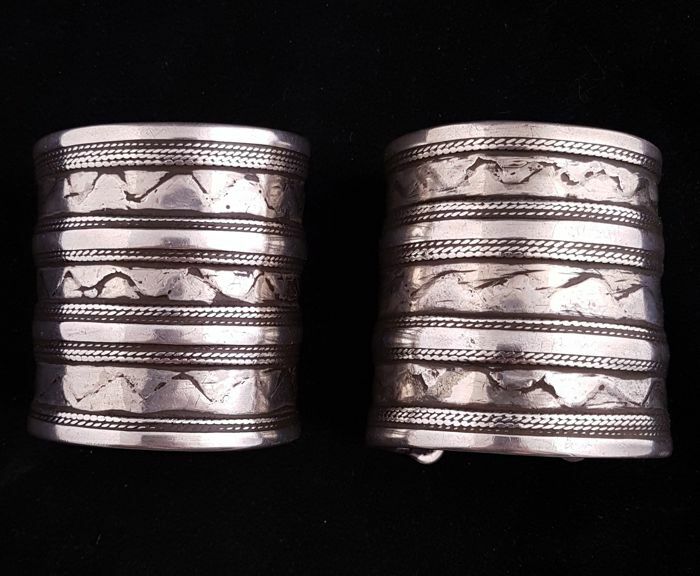 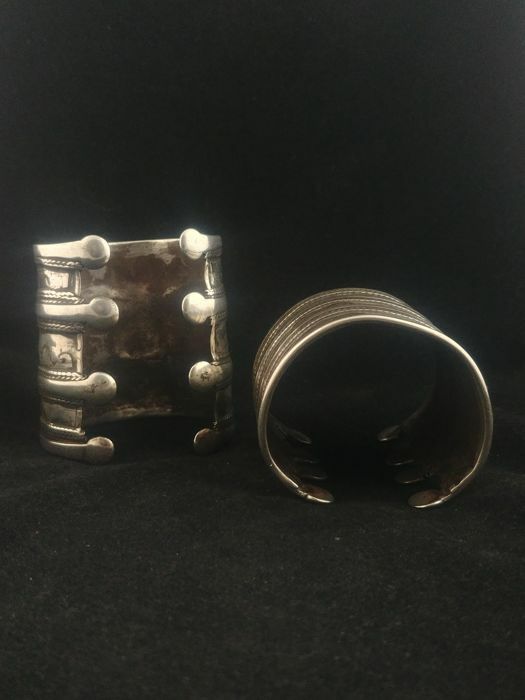 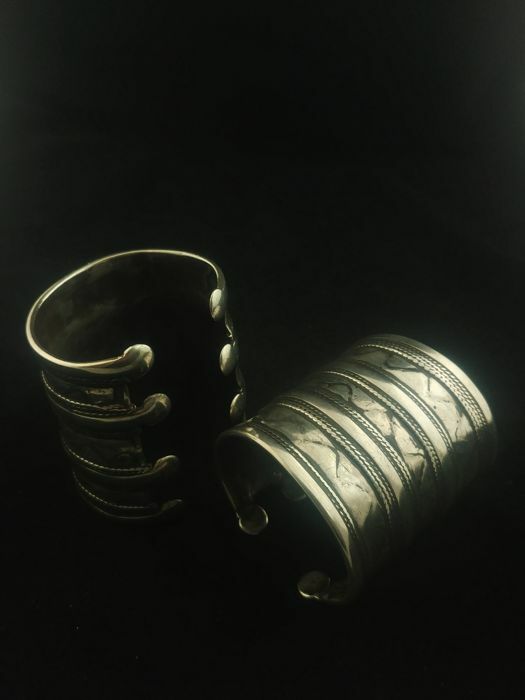 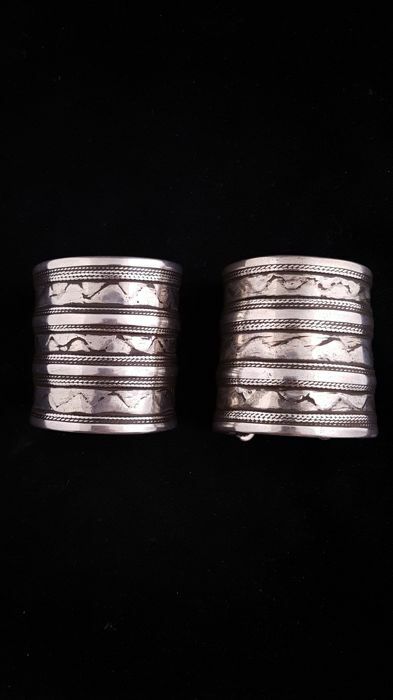 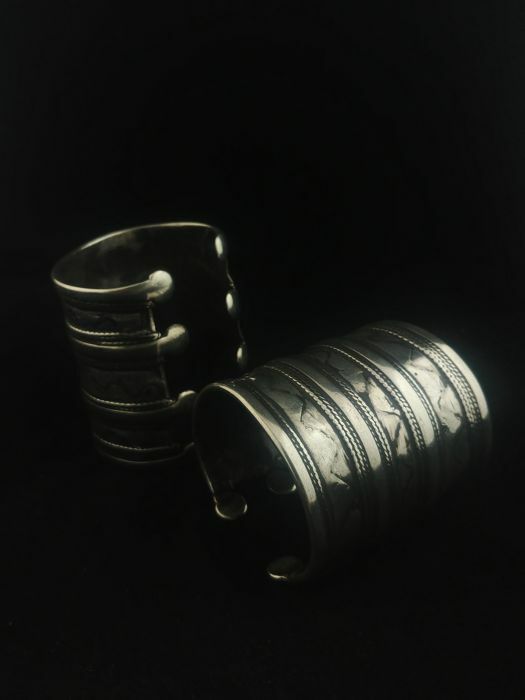 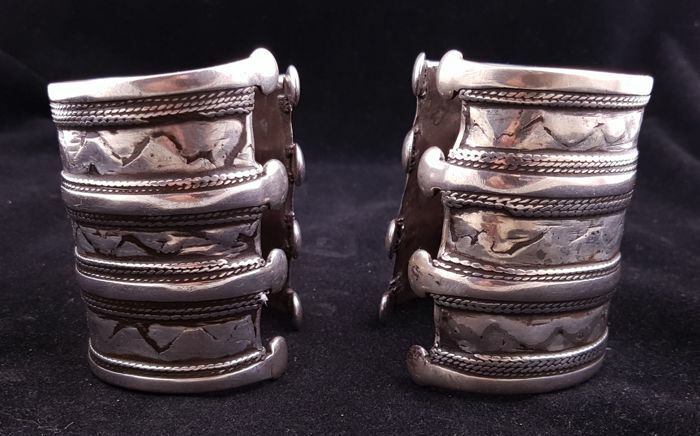 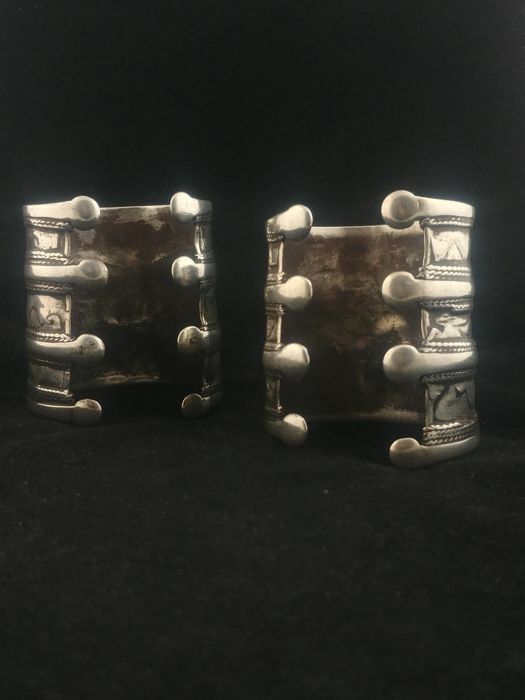 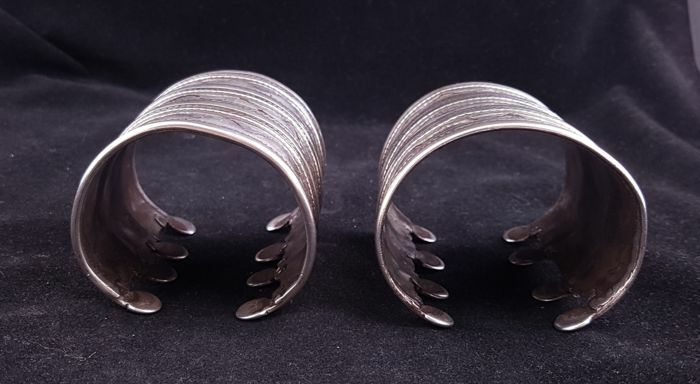 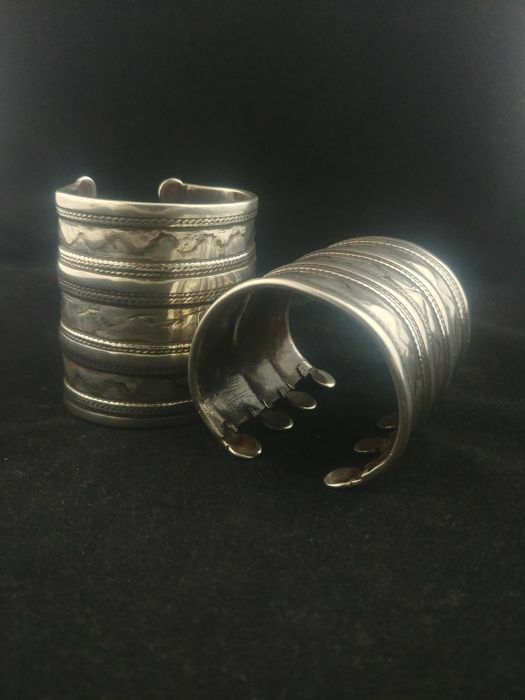 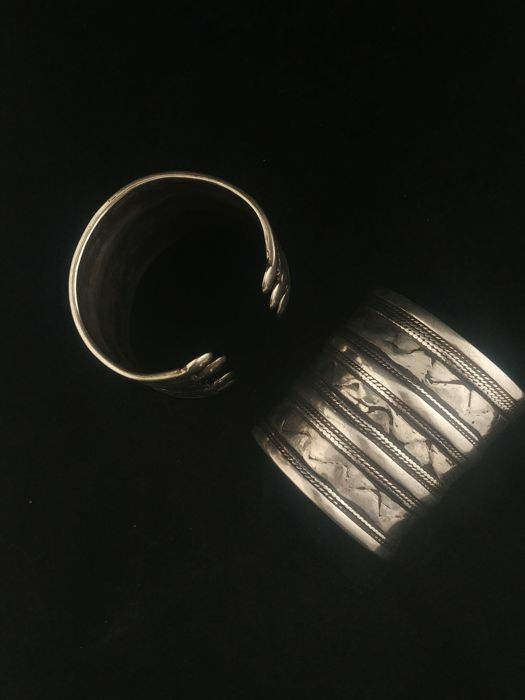 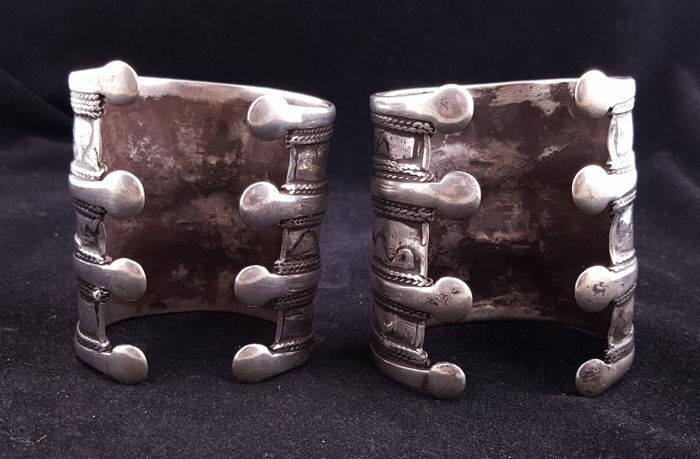 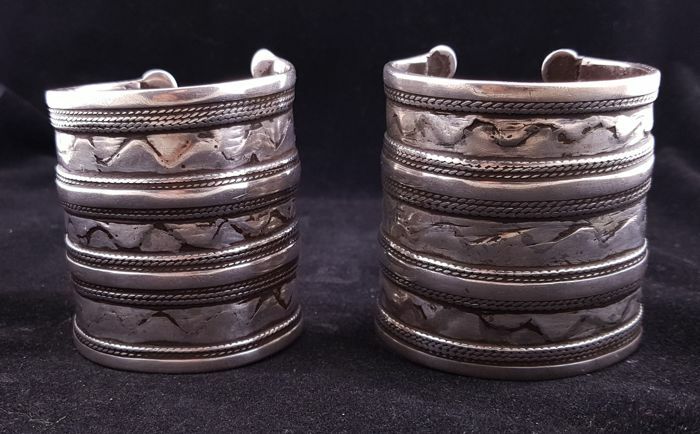 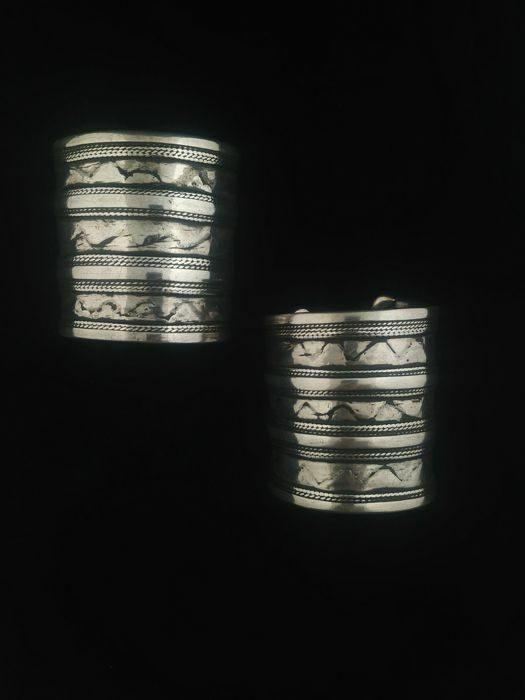 Pair of antique bracelets in high-grade silver, from Turkmenistan, first half of 20th century. 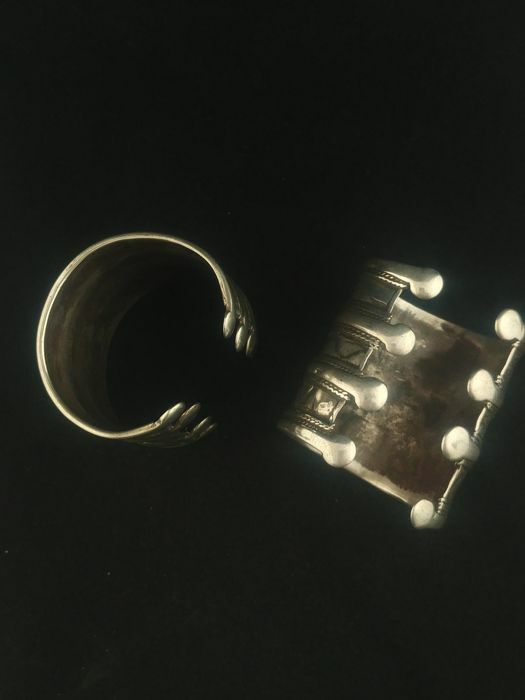 Collector’s item, entirely handmade with exceptionally high-quality craftsmanship. 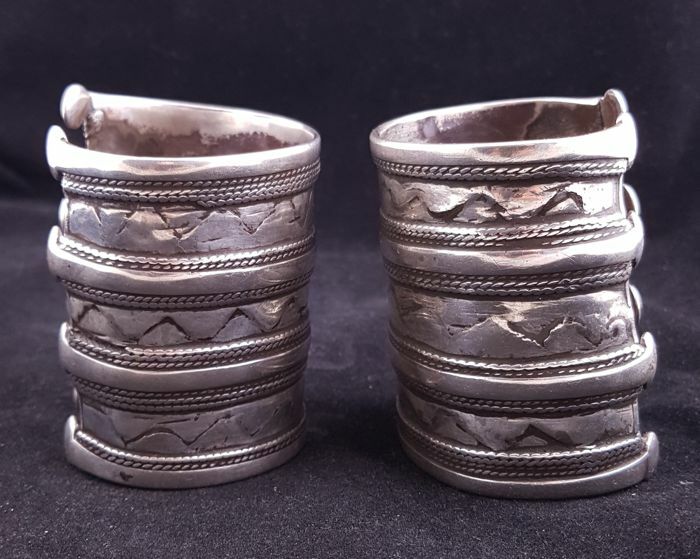 The silver has been acid-tested for quick analysis.